Meena Kumari lived through an era that brought forward the advancement of the Indian cinema from the Golden era to modern times in a magical career that would become the envy of today's film artists. An era that meticuously painted a canvas larger than life yet subtly, as real as life itself. A time when film artists portrayed characters true to the struggles and triumphs of the common man. By the time Meena Kumari graced the silver screen, India had already advanced in technology from silent films to talkies. This technical advancement would lend to the cinema the sound of a tremulous voice belonging to an actress who would eventually give rise to a certain culture of cinema like none other before or after her. Born in Bombay as Mahjabeen Bano to theater actor Ali Box and dancer Iqbal begum on August 1st, 1933, Meena Kumari's Artistic rise to prominence would become an inspiration for years to come. Yet personally, this very prominence would become her life long struggle in a race for survival amidst a distinct backdrop of wine, relationships and stardom. Her journey through films would begin while living next to the Rooptara studios and her father was determined to have her in films and become the breadwinner for her family's immediate survival. In 1939, at age 6, Meena begun essaying roles and characters that would paint a canvas that looked like none other. Her first film, Leatherface, was made at Prakash studios and directed by Vijay Bhatt. She would journey onto a trail of mythologicals such as Shri Ganesh Mahima and the fantasy tale of Alice and the Wonder Lamp. More than a decade had passed and Meena Kumari had been constantly in search for a role, a character, that would challenge her sensibilities and stimulate her artistic abilities. This would come to her in the form of the film Baiju Bawra. Released on the 5th of October, 1952, Baiju Bawra brought forward the spirit of Gauri, a woman whose purpose serves her lover's achievements regardless of her sufferings. 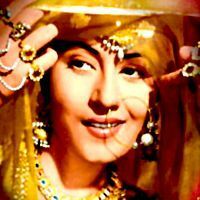 Meena Kumari would excell in her performance as Gauri and Baiju Bawra would become one of India's biggest films, celebrating Diamond Julilee status. On her part, Meena Kumari became India's most celebrated leading lady and won the Filmfare Award for her stunning performance as Gauri. On Sunday, March 21st, 1954, as the first ever Filmfare Awards were held at the Metro, some 1000 film personalities and dignataries came to attendance. In the moments leading to the Awards ceremony, fans took their place in history by packing the streets and roadsides leading to the Metro that night. A mere glimpse of the screen goddess could easily cherish a life time of memories. In a proud moment of glory, India's leading lady of celluoid rose to thunderous applause and ovation when accepting the first ever Filmfare Award in the category of Best Actress in a film. At this historical juncture of her career, her tremulous voice remained true to her emotions in accepting the award. A nation had showered her with love and appreciation and returned their devotion to her. Many years have come and gone and many others have graced the stage in acceptance of the award but yet to captured the spirit of triumph and victory as Meena Kumari did that night. With her that night was Kamal Amrohi. Amrohi had become a member of an elite group of India's brilliant craftsmen. During the nineteen forties he had brought forth one of the earliest of psychodramas screened for the Indian nation in the form of the now classic film Mahal, released in 1949. Armed with the confidence of a director and the success of his very first film, Amrohi would cast Meena Kumari in his next directorial venture, Daera and she would marry him. 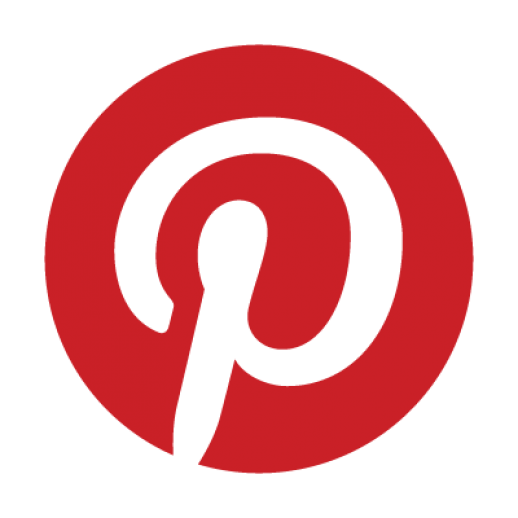 Together they would conceptualize and launch one of India's best known contemporary costume drama and named it Pakeezah. Although Meena would gave brilliant performances in lighter romantic roles in films such as Azaad, Miss Mary and Kohinoor, it is in the role of the great tragedienne that she is best remembered. Should the wind fingle her curls, then her lashes would flicker, her eyes would lay still and her lower lip would fold backwards, her nostrils becomes widened, and her voice cuts through the moment, upheld by her very own creation...the embodiedment of a woman. By 1962, Meena Kumari's career had peaked like none other. That year she had swept the Filmfare awards with 3 nominations for her performances in the films Aarti, Sahib Bibi Aur Ghulam and Main Chup Rahoongi and took home the award for her performance in Sahib Bibi Aur Ghulam. Professionally, Meena Kumari was India's great screen goddess. Personally, she craved inner peace, personal satisfaction and fulfillment. True to her desires and bravery, she would embark on rampages that made headlines across India but never for a moment did her fans lost any adoration for her as a talent. Meena Kumari had sought fulfilment. It is unfortunate that destiny willed it differently for her. She would divorce Amrohi in 1964 but continued working with him on Pakeezah, the film that would eventually epitomized Meena Kumari as India's greatest cinematic tragedienne. Meena Kumari's love - lorn screen image was no less her real life persona. Her journey through films mirrored her journey through life and are legendary. Everything Meena did was huge. Her relationship with Dharmendra spanned two of her finer films Kaajal and Phool Aur Patthar. As the Nineteen Sixties progressed Meena Kumari would continue to thrive on her sensibilities as a love - lorn woman both on screen as well as in real life. She would spend time drinking, in search of satisfaction and writing Urdu poetry under the pen name Naaz. By 1968 Meena Kumari was 35 years old and alcohol abuse had caught up with her. She would continue work on Pakeezah and a few other films but mostly struggled to find a balance between reel and real life. Something that had been alluding her for almost all of her professional life. Pakeezah was premiered in Bombay on the 4th of February, 1972. In attendance that night was the who's who of the film Industry. Meena Kumari sat through the film and was mostly pleased especially since the film had been in production for 15 years. Up on the screen was the essence of a woman that perhaps only she could understand. As the curtains came back down that night and the lights went up, Meena Kumari heard the familiar voice of the legendary composer Khaiyyam saying " Shahkar ban gaya. " ( the film has become priceless ). Words that brought tears to her. Words that remained true. On the last day of March, 1972, one of India's most beloved screen icons breathed her last. Meena Kumari died from cirrhosis of the liver. Lata Mangeshkar was born at 10:30 pm in Indore, Central India on Saturday, September 28th, 1929 to Shrimati Mangeshkar and Master Dinanath Mangeshkar. At the time, her father was one of India's most renowned and highest paid singer and theatre actor. Two years later, in 1931, the advent of Talkies in India would breathe new life to the Indian Cinema and hence a decline in attendance for stage plays and dramas. This trend would send Lataji's fathers' theater career on a collision course with the Indian cinema and by the end of the decade his career had come to near closure. On Friday, the 24th of April, 1942, Lataji's father, passed on leaving behind his widow with five children, his life savings of just One rupee, five days' worth of food, his tanpura and song book and many lifetimes of gifts to the world - Lata Mangeshkar. At the age of 13, a young and determined Lata would become the breadwinner of her family. With the help of Shripad Joshi, a friend of her late father, Lata was introduced into films by M. Vinayak. Putting the skills of singing and acting as taught to her by her late father, Lataji would go on to act in Eight films between 1942 and 1948. During this period and especially before1946, she was almost always turned down everywhere she went trying her luck as a playback singer. Mostly dismissed as the girl with a voice too thin for playback, she was again determined to succeed. Lataji's first recording was for the Marathi film Kiti Hasal in 1942 but her song never made it in the film. Her next effort was the song Natli Chaitrachi Navalai for the 1942 Marathi film Phili Mangalagaur. This would become Lataji's first playback song. Incidently, her first Hindi song Mata Ek Sapoot Ki Duniya Badal De Tu was for a " Marathi " film Gajabhau, released in 1943. Her initial inning at acting and singing would bring her little or no recognition but she managed to put bread on the family's table. By 1947, as India looked forward to finding its own identity as an Independant nation, Lataji would gift India its voice. Her first Hindi song Pa Lagoon Kar Jori for a " Hindi " film was released. The film, Aap Ki Sewa Mein. As a free India moved forward into 1948 and especially in 1949, it wore with pride, Lataji's songs on its lips. An entire nation found solace in a voice that would inspire generations through more than 50 years of freedom. A voice that would lend to India a rhythm it needed at a time when it needed it the most. Within Eighteen short months, Lataji would " record " the songs that would immortalize her: Uthaye Jaa Unke Sitam from Andaaz, Barsaat Mein and Bichhde Hue Pardesi from Barsaat, Saajan Ki Galiyaan Chhod Chale from Bazaar, Chup Chup Khade Ho from Badi Behan, Bahaarein Phir Bhi Aayengee from Lahore, Ae Dil Tujhe Qasam Hain from Dulaari, Lara Lappa from Ek Thi Ladki, Mushkil Hai Bahut Mushkil and Aayega Aane Wala from Mahal. From the late 1940's to now and forever, Lataji's voice is always the voice for all seasons. 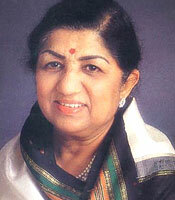 Lata Mangeshkar. Out of a Billion, One. Easy96.com brings the choicest Bollywood hit songs to Indian music lovers.